First I'd like to wish everyone a merry Christmas! Second, I'd like to share with you today a family recipe for a wonderful dessert which is perfect for winter. I'll admit that this might not be everyone's cup of tea, but if you like chestnuts or you'd like to try something different continue to read. It has been my absolute favourite dessert for years for one reason: it contains chestnuts, my number one fall/winter food! Mont Blanc is not a very well-known dessert, but it's generally eaten in France. This dessert got this name because it looks like a mountain (chestnuts) covered in snow (whipped cream). It's the perfect dessert for the winter season. This extremely simple recipe is from my great-grandmother, and it doesn't resemble the original French dessert because the chestnuts aren't pureed. She used to cook fresh chestnuts in milk and then peel them, but because I like recipes to be quick and easy, I simply buy cooked chestnuts. These are widely available in supermarkets around this time because they are sold together with game (like deer). I also like this recipe barely contains any sugar (less than 10 grams! ), so it's not a sweet-tooth dessert. You'll also need a passe-vite (a food-mill which is mostly used to make puree). This utensil is essential for this recipe because it will turn the chestnuts into small crumbs. 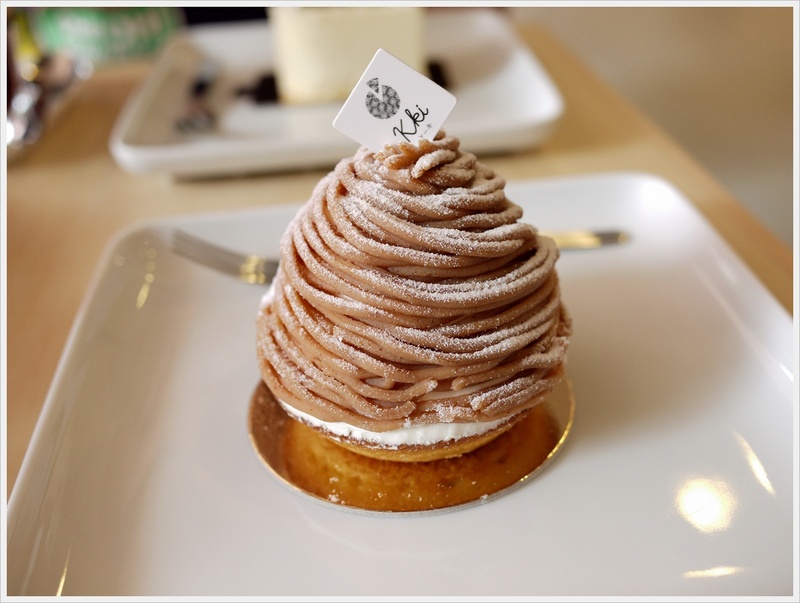 I know that Mont Blanc is usually a worm-like chestnut puree but this texture is so much better. You'll get a nice combination of two different textures: the creamy thick whipped cream and the crumbly chestnuts, it's perfect! Start by placing the passe-vite over a large bowl or pot. This will catch the chestnuts crumbs. 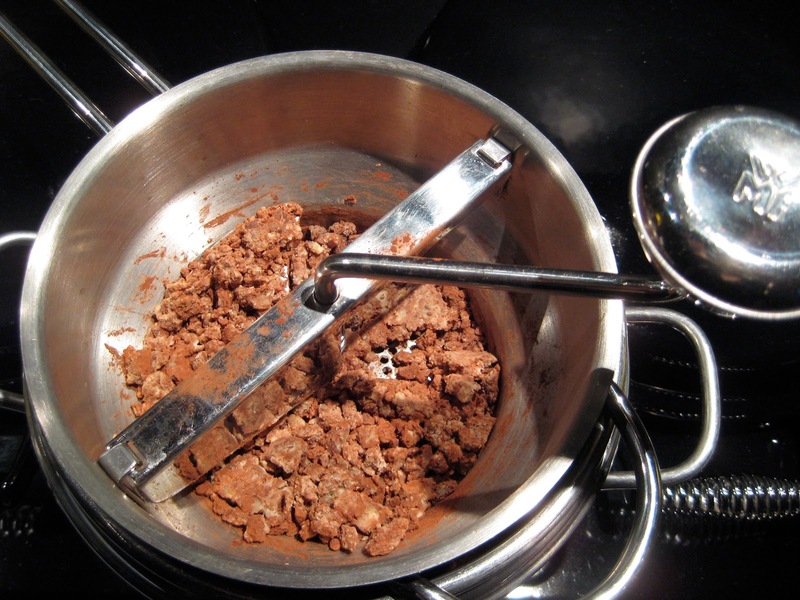 Put half of the chestnuts in the passe-vite and dust some cocoa powder over it (about one tablespoon). Make sure the chestnuts are covered in cocoa. Then start turning the passe-vite until all the chestnuts have disappeared, turned into small crumbs and gone into the bowl. Do the same to the other half of the chestnuts. You're almost done by now! Now whip the cream together with the vanilla sugar until it has quite a thick texture. 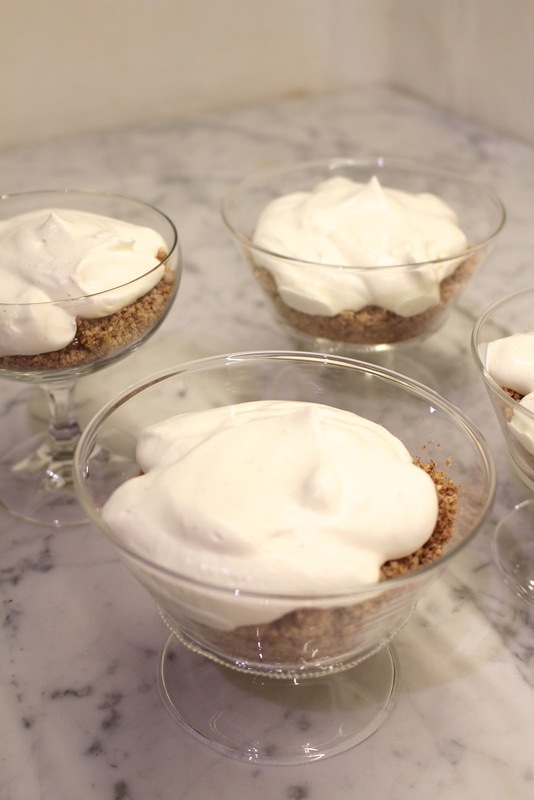 Now you've got two options, you can either put the dessert in one big bowl, or make (five or six) small individual glasses if you want to serve it at a dinner party. This will look slightly prettier. I like this option the best! Equally divide the crumbly chestnuts in four to six glasses, depending on how big they are. Now it's time to add some snow to the mountains! Put a few spoons of whipped cream on top of the chestnuts, it can be a little messy. The firmer the whipped cream, the more if will look like snow mountains with peeks of cream! Also, if you're planning on having the dessert later in the evening or the day after, the whipped cream needs to be firm enough so it doesn't "seep" into the chestnuts. If you want, you can dust some cocoa over the top but this time I decided to leave them as they were. If you want to eat them later or the next day, put some cling film over the top so it stays fresh. 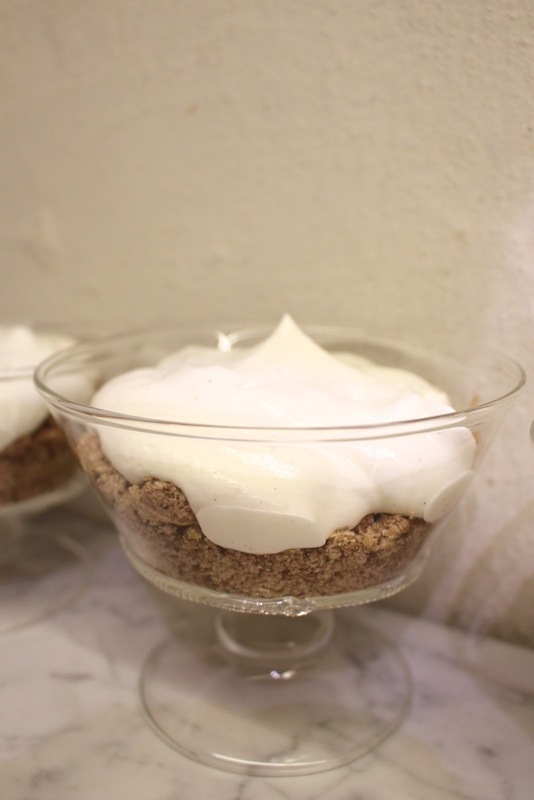 You can also prepare the chestnut crumble in advance and whip up the cream whenever you want to serve the dessert. Now you've got a delicious dessert which contains much less sugar than other winter desserts, and which is also easier to make. It's a win-win! This is by far my favourite dessert so I can recommend it to all of you. A few simple flavours that work magically together!